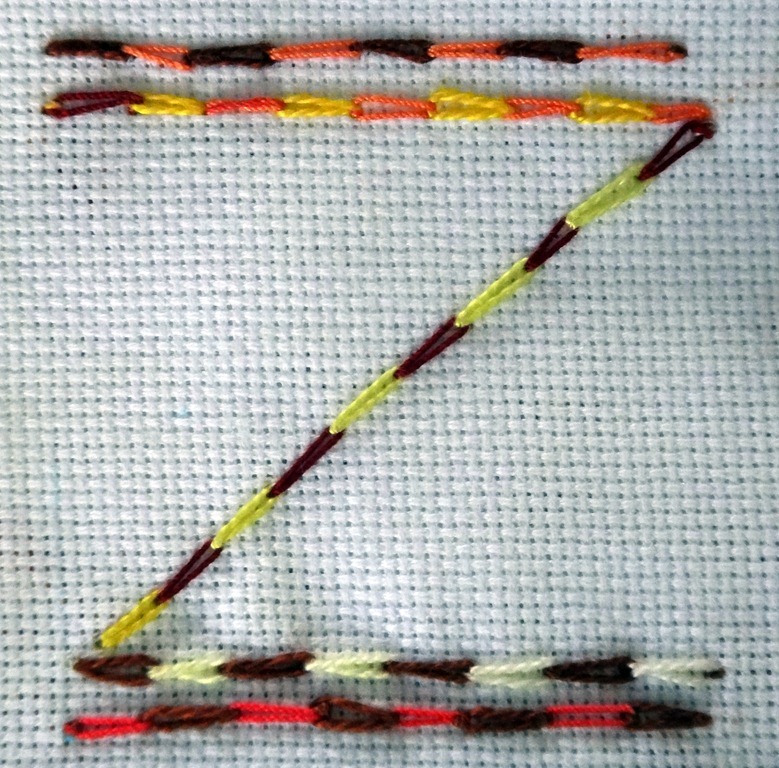 The Take A Stitch Tuesday stitch for the 2nd week in November was a type of Chain stitch. Called Magic chain stitch or Chequered chain stitch it was a fun stitch to work. It was done using 2 threads on one needle. 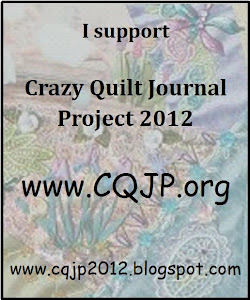 After using the Magic chain stitch on the 2nd quarter of my Crazy Quilt Journal Project November block it is half done. 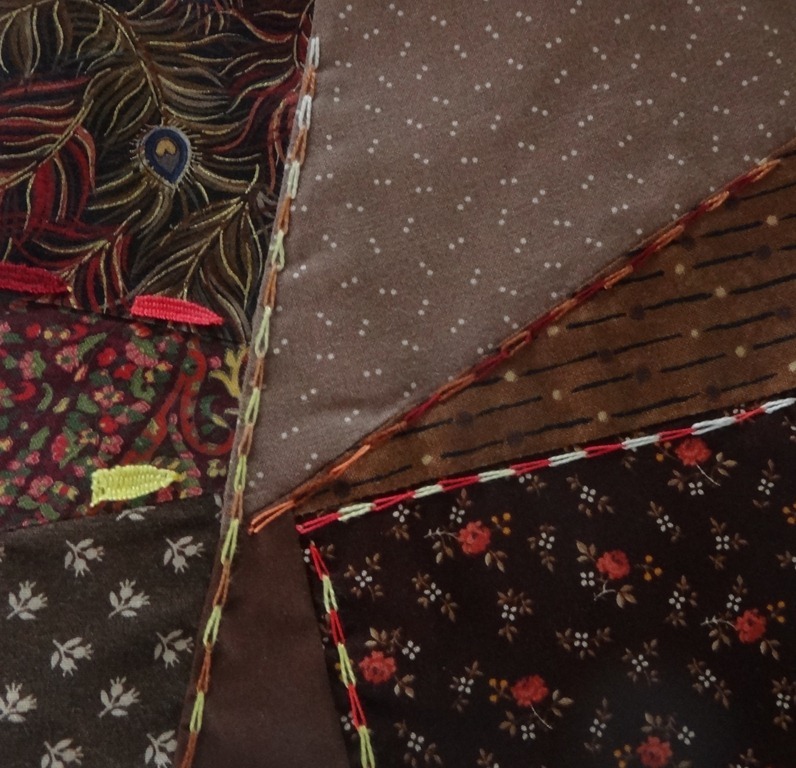 This entry was posted in CQJP, Magic chain stitch, November. Bookmark the permalink. Your block is looking good. I lkie the combinations of Picots and Magic chain; both stitches are a bit like arrows pointing in one direction. Beautiful use of the stitch. A good example of a simple stitch. The seams look well on the block.